Fast Start conversation: In 2010 Chief Marketing Officer (CMO), created a CMO’s guide to the social media landscape. 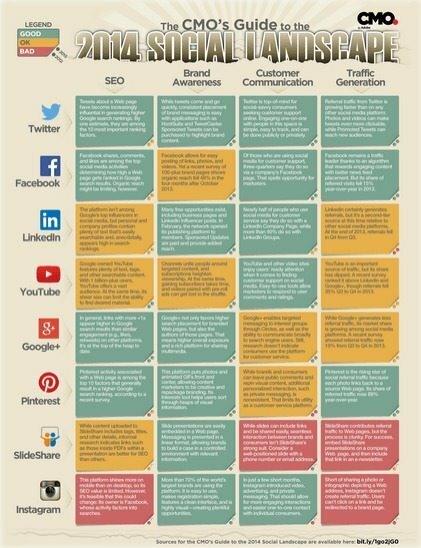 As the 2013 CMO Social Media Landscape showed change from 2012, the 2014 social media landscape also brings change. Before you or your CMO doubles down on their MySpace budget, I recommend you get this in front of them. In 2014 a CMO what trends have changed? What are fads? What are career killers? Now, in 2014 do you feel better prepared?